The weather is getting warmer and the dark Oregon winter has come to a close. While you may be busy organizing your closets and packing up cold-weather clothing, consider giving your plumbing a little attention. The following tips can serve as your Spring Cleaning Checklist! Empty it out: Gutters, drains, downspouts, and vent pipes may still be filled with fallen leaves and other debris left over from last Fall. 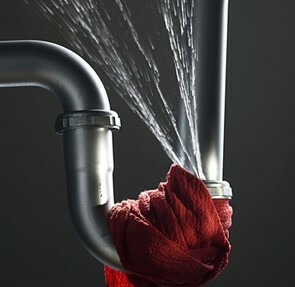 Give your plumbing a fresh start by removing all clogging agents so water can drain properly out and off of your home. Vent pipes are an attractive place for birds to nest, so check for these as well when cleaning. Test your sump pump: Give your sump pump a once over by pouring 3-4 buckets of water into the sump pit and observing. If the pump turns on quickly, discharges the water, and shuts off, it’s in working order. If, however, there is a delay or your pump does not get rid of all of the water, troubleshoot with a plumbing specialist. (Don’t) Back it up: If sewer backups are common to homes in your area, install a backflow valve in the floor drain to help you prevent backups on your property. Free flow: You want your home’s water supply contained and flowing easily from faucets and hose bibs. If turning on an outside faucet causes leaks inside your home, the cause may be a pipe that froze and cracked over the winter and needs replacement. Go below: Leaks can develop in exposed pipes and under sinks in your basement. Locate and repair immediately to save yourself more serious repair costs down the line. Total flush: Use the food coloring test to make sure your toilet has no unseen leaks. Remove the tank lid and flush. When the flapper drops and the tank refills, add a few drops of blue food coloring and wait 20-30 minutes to see if any color makes its way into the toilet bowl. If so, you have a leak that needs fixing. Deal with clogs: If any of your drains are stopped, now is a great time to remove what’s stuck inside and purchase strainers to keep hair, soap scum, and food debris from creating new clogs. Water heater wellness: Make sure that your water heater temperature is set at 120 degrees F or below to prevent scalding and excessive energy use. Consider replacing your water heater altogether if it is over 15 years old, as newer models conserve energy to reduce your costs. 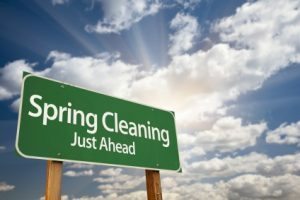 Spring is an excellent time to make revitalizing changes. By assessing your plumbing now, you can catch potential issues and make repairs so you can enjoy the warmest and sunniest months of the year, issue free!